“Devon and the West Country has the best larder not just in Britain but in all of Europe,” Michael Caines. At Lympstone Manor Michael continues to build his world-acclaimed reputation on his exceptional and refined modern European cuisine that makes full use of the bounty of seasonal ingredients, much found almost literally on the doorstep. 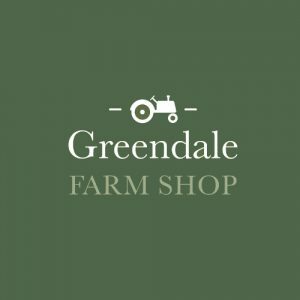 Michael and his team have nurtured and developed important relationships with key suppliers who consistently are able to provide the very best seasonal ingredients and outstanding products. Freshness, seasonality and quality are always the key: some products and produce simply aren’t produced in the West Country, and in such instances, the team sources from the best suppliers from elsewhere in England and Europe. Our olive oil, for example, comes from Greece, supplied by the family of Junior Sous Chef Yiannis Georgakakis. The bounty that comes from the cold waters of the English Channel that laps our doorstep is one of the glories of the West Country larder. We work with Greendale, proud owners of no less than 15 fishing vessels working out of nearby Exmouth, as well as Brixham and Newlyn. Fish can be on its way to Lympstone Manor within hours of leaving the sea. Crab and lobster often come from pots laid down in Lyme Bay, visible from the terrace of Lympstone Manor. The outstanding Red Ruby beef, lamb and other meats on the Lympstone Manor menus come from Darts Farm, just down the road from us at Topsham. Darts Farm was begun by Mike, Jim and Paul Dart’s father and under the three brother’s leadership has grown into a nationally acclaimed farm shop championing the best from the West Country. The Darts’ own herd of Red Ruby cattle can be seen grazing on the salt marshes of the Clyst River and the meat they supply us, says Michael, is some of the very best that he has ever worked with and tasted. Master butchers Alastair and Phillip David work closely with our kitchen team to ensure that the meat supplied is precisely hung, cut and prepared to our exacting requirements and standards. Blueberries from Dartmoor? The proof is in the tasting, says Michael. As the name suggests, the company is run by two brothers, Nick and Toby Hewison, in the beautiful village of Lustleigh on the edge of Dartmoor. 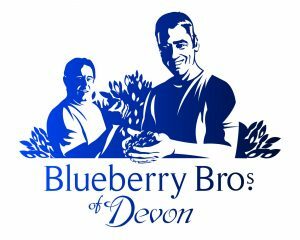 The brothers now have nearly 700 blueberry bushes which harvest from July to September, making the berries exclusive to select shops and restaurants like Lympstone Manor. No Pesticides or chemicals are used to grow and netting is used to keep off the main pest, birds. The finer details show in the rich blue colour and the unique and intense flavour. It is essential to have a good local and reliable greengrocer on the doorstep. The Tucker family’s history of supplying locally grown produce to nearby Topsham began in the 1890s when current owner Richard Tucker’s great-grandmother travelled from the family farm in Woodbury Salterton to the nearby town to sell their own produce. The farm is still in Woodbury Salterton, and Richard has had his Topsham shop for more than 25 years. He supplies Lympstone Manor with outstanding vegetables and fruit, much of it locally grown. Frobishers, an award-winning Exeter company, has been creating and supplying the finest fruit juices and premium juice drinks for nearly 25 years. Utilising the best fruits sourced from around the world, the juices and juice drinks are not only wonderful beverages in their own right, they are also essential ingredients in the cocktails and mocktails that our talented mixologists create. 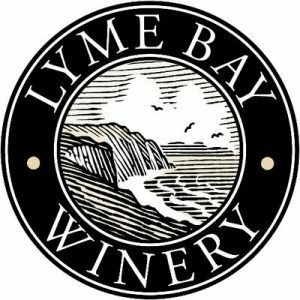 Lyme Bay is an important partner producer that we are proud to work with. Over the last 25 years the company has made its reputation on its fruit wines and liqueurs made from locally grown fruits. Now, in addition to its original core products, Lyme Bay is the source of outstanding English sparkling and still wines that can be found on our wine list. The winery’s philosophy of making the very best products has been recognised with many accolades over the years: in 2016 alone they gained 35 awards! Looking to the future, we will be working closely with Lyme Bay and its talented winemaking team for the creation of Lympstone Manor Cuvée when our own Lympstone Manor vineyard begins to bear fruit in 2021 and beyond. So watch this space! A flûte of Michael’s own label ‘MC Champagne’ is often the first beverage that our guests sample on arrival at Lympstone Manor. Our relationship with Champagne producer René Beaudouin is part of Michael’s own story for this dynamic proprietaire-récoltant was introduced to Michael by one of his former sous chefs, David Collard. René, David’s uncle, has prized vineyards in the Montagne des Reims, around the small wine commune of Nogent l’Abbasse, planted primarily with Chardonnay as well as small amounts of Pinot Noir and Meunier. For Michael, René produces an outstanding and elegant Blanc des Blancs Champagne n/v that Michael believes is a perfect apéritif wine. This wine, bearing Michael’s own distinctive label, was served at Michael Caines Restaurants throughout the UK, and when Lympstone Manor launched, it continues to be a favourite house pour. Charles Heidsieck in our opinion is the top n/v (non-vintage) Champagne on the market right now, a slightly fuller and richer style than the MC Blanc des Blancs and therefore a good alternative. This renowned grande maison was begun by Charles-Camille Heidsieck in 1851, at the tender age of 29, and it has been guided by his ambition and vision ever since.  The whole range of Charles Heidsieck Champagnes is outstanding and we are proud to have these great wines on our list as well as to host very special Champagne dinners with the Charles Heidsieck team.